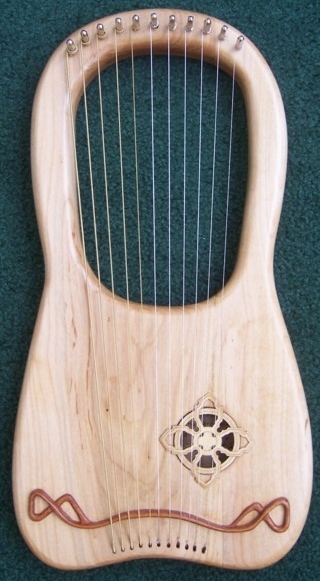 The lyre was the catalyst that started the musical instrument productions in Traditions Workshop. 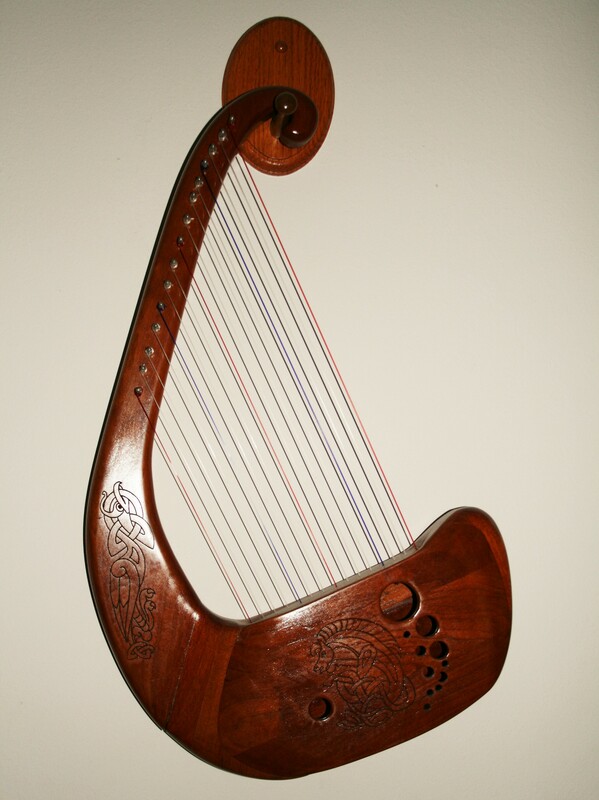 After building more than half a dozen lyres, harps became part of the shop. Next there were tone drums, fish sticks, and canjoes. 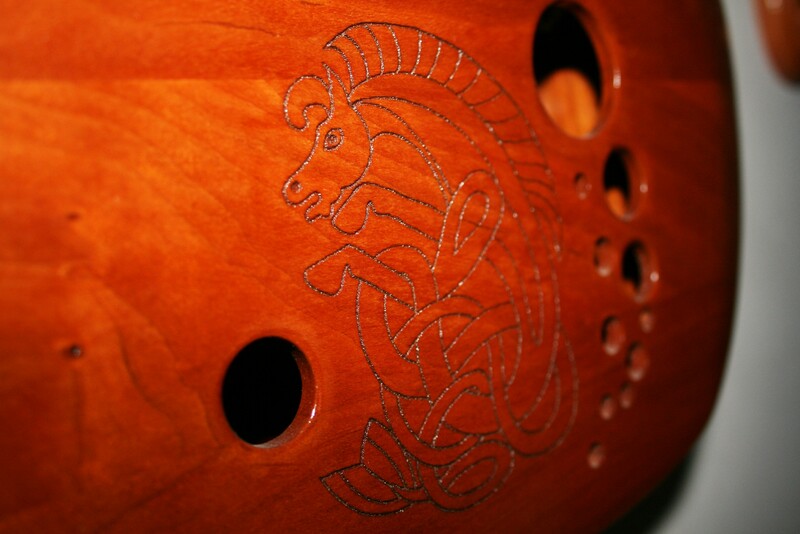 All instruments are built to order, please allow 3-6 weeks from production depending on the instrument. Over the years David has built more than a half-dozen of these “King David Lyre”; each as unique as the trees they come from. 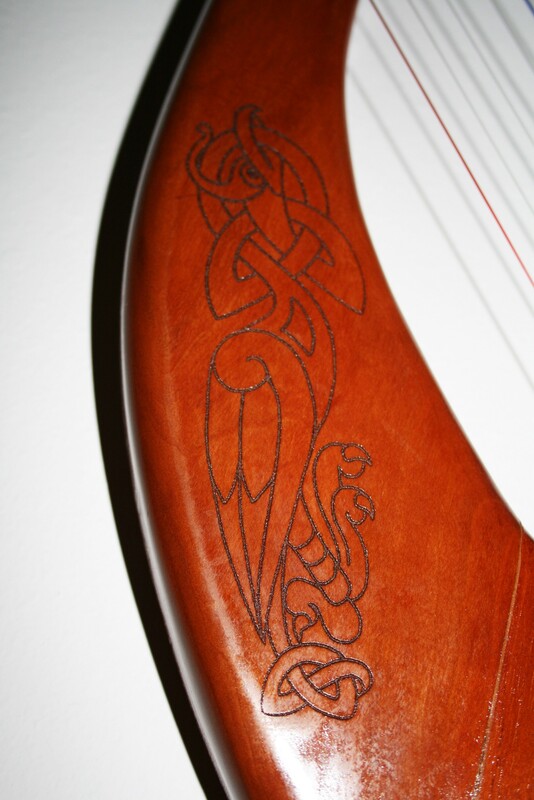 Sometimes you find a piece of wood that although damaged still commands attention, this lyre was built from such a piece of wood. Even though the wood was destined the fire pit it I noticed that it still had life and character so it was set aside for a special task. After clean up and preparations this unique instrument was formed. In the process I was constantly reminded of how God can touch each of our lives, no mater how damaged or worn and then clean us up and then sets us aside for His special purpose. 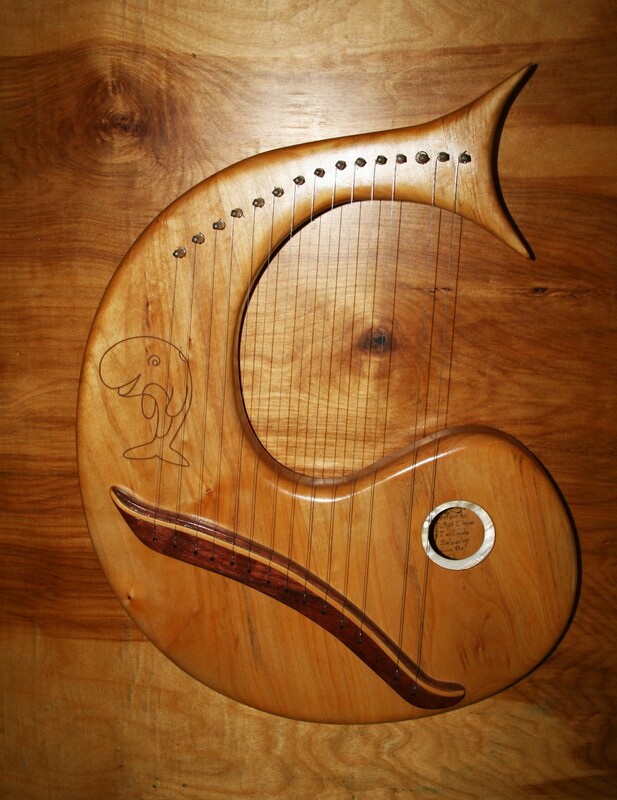 I still have the Wormy Maple lyre (shown here) at home – it’s not for sale but a similar lyre can be built for you, allow 3-6 weeks for production plus delivery time depending on availability of materials and the workload at our shop. All lyre have a Bible verse written inside the body and that verse is noted in our family Bible with information about the lyre that is using that verse, so we always have a record of what we have built. 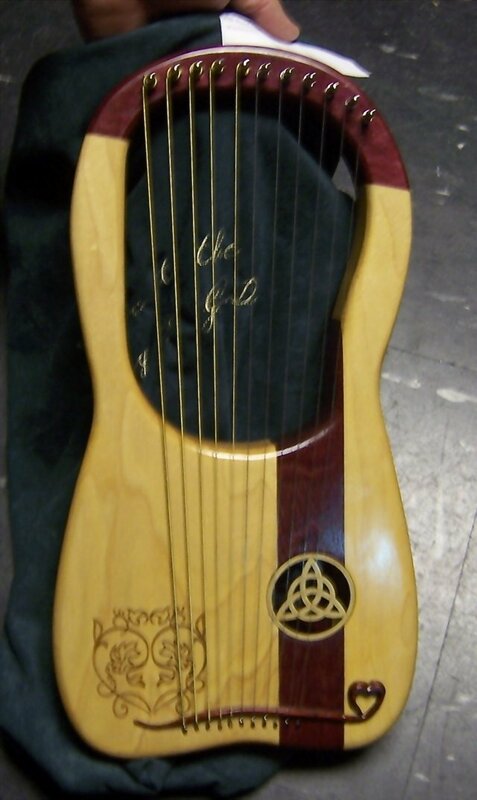 The Celtic Knot Lyre, note the hand carved bridge in cherry.